Subject: HERCULES researchers visited Colmenar Viejo, Spain this time to present the results of the work related to the area. 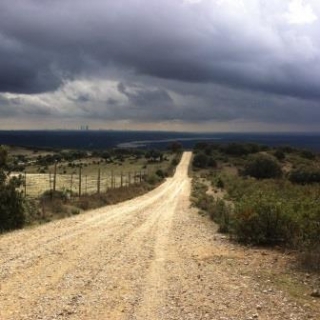 The municipality of Colmenar Viejo was chosen as one of the study landscapes in the project 3 year ago. Since then the partners have visited the area, conducted several interviews with locals, and held several workshops in order to better understand how they perceive landscape and landscape change. Subject: This conference will explore the latest developments in landscape characterisation, classification and assessment, including methods for engagement and participation, use of open data and spatial analysis techniques. The conference will explore the different ways researchers and practitioners are using methods to capture the variation in landscape character, pattern and quality including Landscape Character Assessment, Historic Landscape Characterisation, environmental stratification, landscape pattern metrics, ecosystem services assessment and other techniques. This year’s event will be held at the University of Reading from 7th - 9th September 2016, Twenty-one years since the last ialeUK conference to be held at Reading! We look forward to welcoming participants from around the world who work with landscape and seascape, including natural and social scientists, landscape architects, planners, geographers and archaeologists. The conference will appeal to people working in research, policy and practice and will include opportunities for discussion and networking. There will be a field excursion midway through the conference and a full social programme in Reading town. Subject: The adoption of the European Landscape Convention (ELC) has attracted attention from the sciences, policy makers and the general public but it has not yet managed to effect the formulation of common solutions to the main challenges facing European society today. 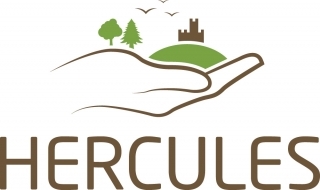 The HERCULES project has underlined the importance of applying an holistic, multi-scalar and inter-disciplinary approach to effective research and understanding of rural landscapes in Europe. The next step is to apply a ‘landscape approach’ to support their long term sustainability, i.e. respecting and enabling their inherent dynamics, cultural specificities and multi-agency nature. Having a landscape approach at the centre of policy and governance models will be a more effective way of accommodating and managing the competition and interdependencies for natural resources and ecosystem services among the Sustainable Development Goals and among land users. Governance and policy need to take into account the human factors at work in the landscape as well as the biophysical, in addition to the culture(s) of the people living and working within it. The conference comprised of two panel discussions; one addressed by Sara J. Scherr, President and CEO of EcoAgriculture Partners, and the other by Guy Robinson, Editor of the journal Land Use Policy. 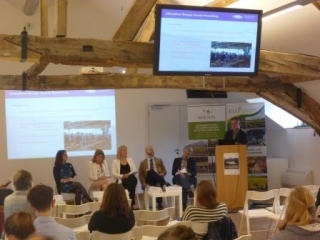 Subject: The workshop addressed opportunities for, and challenges to, landscape management, and stimulated a constructive science-policy-practice discourse on the potential of labelling related to landscape management for sustainable rural development and heritage in the EU. Subject: 3rd local workshop in Colmenar Viejo will take place on the 1st of October 2015 and will be followed by a tematic walk in the area on the 3rd of October 2015. Subject: The next conference of the Landscape Research Group will be focusing on the Perception, Planning, Participation and Power of Energy Landscapes. Landscape Stewardship workshop - presentations are online! Subject: 2nd EU level workshop in the context of the HERCULES project took place on Wednesday, June 3 at the Economic and Social Committee. During the workshop various stakeholders shared their views on landscape stewardship and discussed the obstacles and challenges of integrated landscape initiatives. 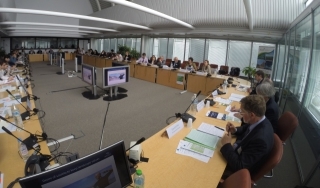 Presentations are now available in the EU level workshop section of our website. Subject: The Baltic Landscape Forum will focus on the change processes of our marine and coastal landscapes around the Baltic Sea. Our coastal and marine landscapes are a shared resource and a shared responsibility where different values meet, i.e. cultural, ecological, aesthetic, social and economic. 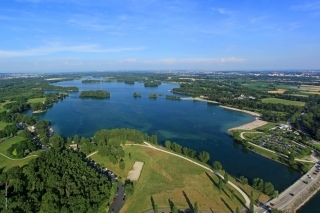 The European Landscape Convention (ELC) is an instrument for ensuring a richer life environment, where landscape diversity is managed sustainably. In this context the sometimes different perceptions of local people, visitors and tourists are a key how these landscapes can be used in a sustainable way. In this way the Baltic Landscape Forum will be a important stakeholder event for the implementation of the European Landscape Convention on local and regional level. Subject: Meeting Theme: Crossing Scales, Crossing Borders: Global Approaches to Complex Challenges The 2015 World Congress is a joint meeting between the International Association of Landscape Ecology World Congress (WC) and the U.S. chapter of IALE (US-IALE), and will be held at the Hilton Portland & Executive Tower in Portland, Oregon, July 5 - 10, 2015. The theme is: Crossing Scales, Crossing Borders: Global Approaches to Complex Challenges. The meeting will bring together nearly 1,000 leaders in landscape ecology from around the globe, including educators and practitioners in the fields of geology, ecology, biology, geography, and landscape preservation and design, dedicated to preserving and protecting our natural resources. Subject: PEOPLE – EMOTIONS – LANDSCAPE – SOLUTIONS is an event reflecting a process of the formation of the sustainable society living along the Czech and German border in the former Sudetenland. The burden of the past personal and national history of this region left a significant mark in people’s hearts and the landscape structure. The border area has been a witness to destruction of many villages, churches, old historic roads, roadside crosses, peace stone markers, piped brooks, and so on. Many villages remain deserted with devastated cultural landscape. There is the complexity of the challenge we face today. Subject: Project partners gather to discuss about Cultural landscapes, EU policies and the role of the European Landscape Convention among others. Subject: More information on the workshop will follow. Subject: The second Global Landscapes Forum will be held in Lima on the weekend in the middle of the 20th Conference of the Parties (COP20) to the UNFCCC. With this timing and location, this major event can draw on the presence in the city of world leaders, development experts and leading thinkers to create an influential space to position landscapes at the center of the emerging climate and development agreements. Countries are forging a successor to the Kyoto Protocol under the United Nations Framework Convention on Climate Change (UNFCCC) and, in parallel, designing a set of Sustainable Development Goals to replace the Millennium Development Goals. Connecting these two processes and multifunctional landscapes is vital if we are to overcome the complex challenges common to everyone on the planet. The two-day event will take place at the Westin Lima Hotel and Convention Center, a 20-minute drive from the COP20 venue and in the only venue in Lima outside the COP with the capacity to support an event of this size and diversity. 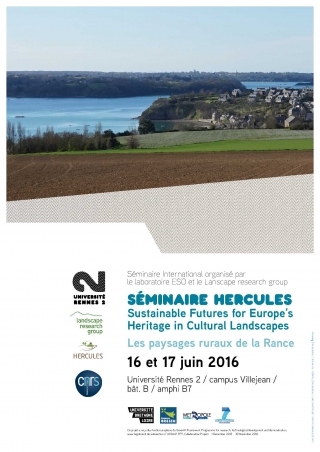 Subject: Read about HERCULES on the website of the Integrated History and future of People on Earth (IHOPE). 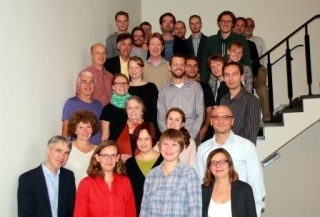 The initiative is a global network of researchers and research projects that link human and Earth system history through the integration of knowledge and resources from the biophysical and the social sciences and the humanities. It is housed at Uppsala University in Sweden. Subject: The Conference will be an opportunity for scientists who have been working in line with the ELC to present the tools developed and to reflect on their tangible, measurable and observable effects. Subject: The conference is organized by the “French node” of the Resilience Alliance network (CIRAD - CNRS - IRSTEA- INRA), Agropolis International and their partners of the campus of Montpellier. Building on the highly successful first two conferences (in Stockholm & in Phoenix), Resilience 2014 will create an arena for exchanges and discussions articulating concepts & practices of adaptation, transformation and development. 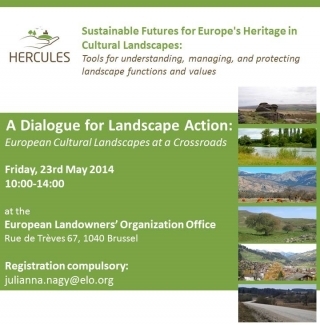 Subject: The first EU level workshop, in the frame of HERCULES, will highlight the ongoing transformation of cultural landscapes as a result of increased rural abandonment, intensification of land-use and urbanisation. These changes threaten the ability of cultural landscapes to continue to deliver the many services they provide such as heritage values and cultural identity. 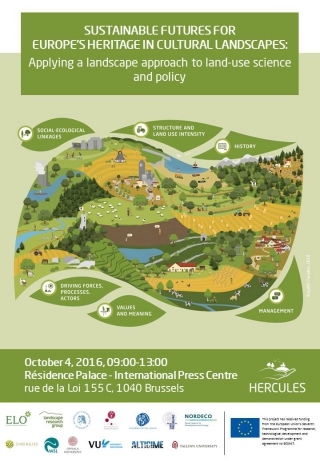 In addition to that, the workshop will invite participants to express their views on how a research project like HERCULES can be as practice- and policy relevant as possible. Subject: CHeriScape is a landscape-focussed network funded within the European Joint Programming Initiative for Cultural Heritage. 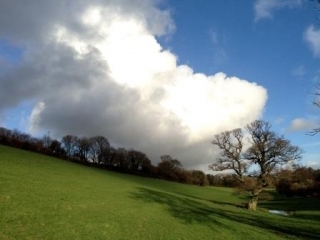 Members come from a wide range of landscape and heritage related disciplines and areas of practice. Each of the upcoming five conferences will have a distinctive focus within the overall theme of ‘landscape as heritage and heritage in landscape’. 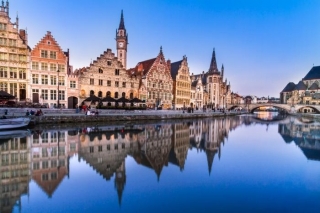 In Ghent the focus will be on Policy. Results from the conferences will be used during the course of our project to create new guidance and briefings for policy makers at all levels in Europe. 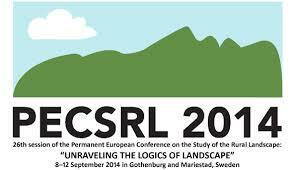 Subject: The 26th session of the PECSRL biennial international conference - "Unraveling the Logics of Landscape" - will be held on 8-12 September 2014. The conference will take place at two locations: in the city of Gothenburg and the town of Mariestad in the west part of Sweden. The congress will be hosted by the University of Gothenburg. Subject: Increasingly in the UK we find that the easiest connection in engaging with people in regards discussing their landscape is via landscape features; hedgerows, dry stone walls, trees and ponds etc. For the article on the first Cultural Landscapes Day event in the UK, please see our section on Cultural Landscape Days. Subject: HERCULES partners gather together in Amsterdam to discuss further developments of the project.